How A Licensed Arborist Is Different from A Non-Licensed One? When a professional gets a license for his work, then you should understand that he has some special qualities for this job. Similarly, licensed arborists are always better than the non-licensed ones. Before you think that both are same, and the only difference between them is just a paper where the license is declared, you should know what are the qualities or features of a licensed arborist. • The job of an arborist is the amalgamation of the art and science of tree care. A certified or licensed one has achieved a certain degree of skill and knowledge for this job. • They have to pass a comprehensive examination to get that certificate. This examination is arranged and monitored by the top-class professionals of tree care. • The professional needs to spend at least 3 years in the industry of tree care and know all the facets of arboriculture. The certification is given to the professionals once they complete their 3 years as well as pass that examination. • Since they have the right experience along with proper knowledge about the field; thus, you can expect the better service from them than the professionals who do not have the certificate or the license. • The job is a risky one, and there is no doubt about it. Only an experienced tree care specialist can understand how to make the matter safe and perform it flawlessly. He can know what type of instruments should be used to take care of a tree which may not be possible for an arborist with zero or minimum experience. • Sometimes, the arborist has to take some immediate decisions during the assignment. Since they are dealing with a part of nature; thus, the situation may not be under their control for all the time. Only a certified arborist can have the skill and experience to understand the seriousness of the situation and take the right decision. • Only a certified arborist has the proper training on the subject of arboriculture. He knows almost everything about tree care. He knows how to cultivate, manage and maintain various types of trees, including shrubs and vines. • However, a non-certified arborist may not have such an extensive knowledge of this subject. He may not be able to take prompt decisions or use the proper safety measures while performing the tasks. • The job of a professional arborist mainly involved physical management of trees as well as manipulation of the same. If you hire an experienced one, then you can get some excellent tips from them regarding the further maintenance of your landscape. You can hire them to perform the task of “tree hazard surveys” as well. They are here to offer you the best service as per your needs. When you hire a professional arborist for your residential or commercial properties, then you need to check their credentials first. However, you need to understand that hiring a certified arborist and an arborist who has a certificate is different thing. 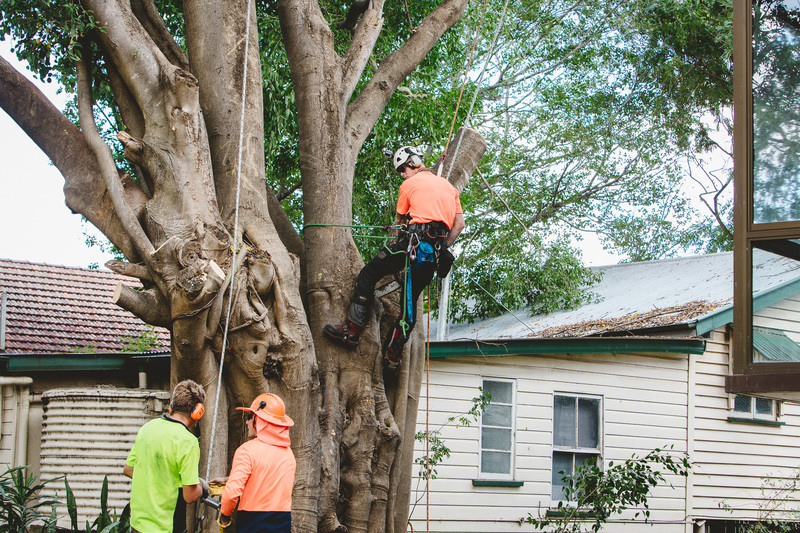 The tree trimming Brisbane Southside service should be provided by ISA or the International Society of Arboriculture.